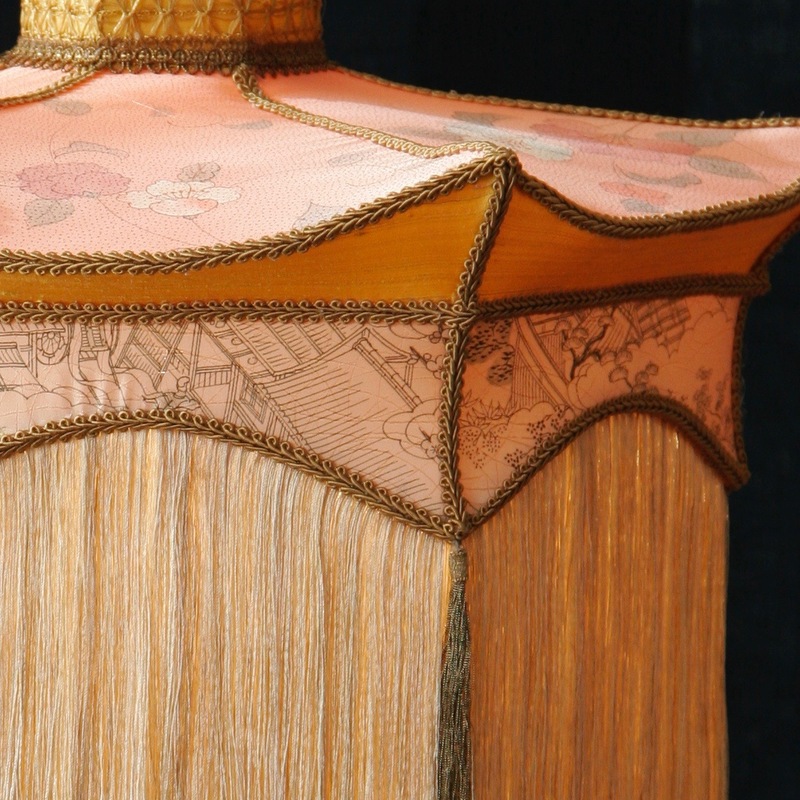 A pendant lamp made with a combination of a soft coral pink kimono silk , with hand painted camelia flowers on the top . 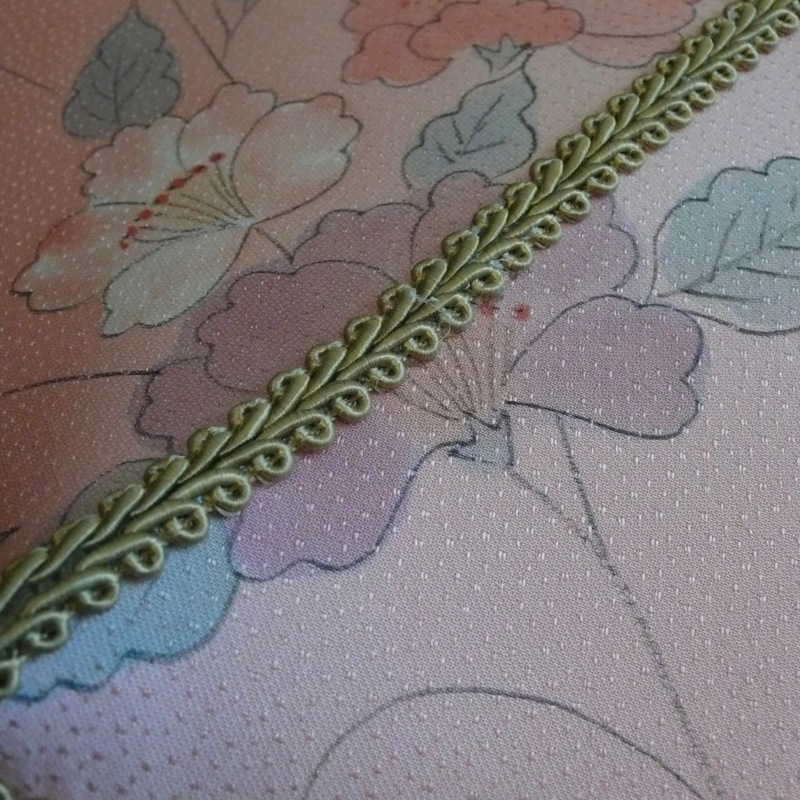 A powder pink silk with Japanese scenery and gold colored silk. The fringe is very light vanilla and the trimmings are gold colored. 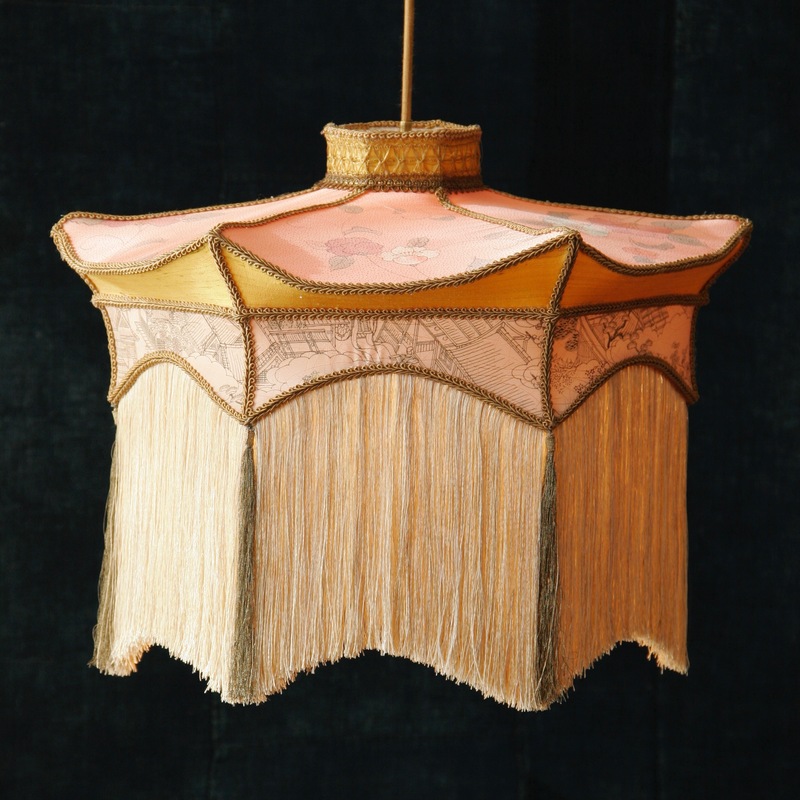 Can be used as hanging lamp but also adjusted to fit a floor lamp. Please send a request for the shipping costs, shipping is within the Netherlands is free.